Seeking a collection of polished, professional taglines for your new commercial endeavour? Or perhaps you feel it's time to hit the refresh button with a brand revamp? I offer a sparkling slogan service to sole traders, small businesses, organisations and established brands, furnishing the client with 20 x taglines that can be utilised across print and web. Help forge a strong identity for your brand. Articulate your value to prospective clientèle. Grab the attention of global consumers. Please contact me PRIOR TO SERVICE PURCHASE to discuss the nature of your business. If your brand feels like a perfect fit, then I'd love to work with you. Please allow a 3 day turnaround time for delivery of copy. Helen is a professional copywriter with over ten years' experience and a postgraduate Master’s Degree in Creative Media (Writing). She has worked with BAFTA winners, luxury fashion labels, artisan jewellers, wedding photographers, award winning food shops, global skincare brands, wealth advisors, real estate agents, holistic health coaches, and more. Her writing is graceful, tasteful and enlightened, big on sparkle but subtle on the hard sell. Links to your official website, e-commerce shop, product images, and any other information you feel is relevant. Helen did a fantastic job. She had some great creative ideas and understood exactly what was needed right from the beginning. I will definately use Helen again for any copywriting and business taglines. Excellent work Helen. A brilliant balance of quality and speed. Will look forward to working with you again. Helen delivered fantastic taglines in record time. Great talent and a real pleasure to work with. I'll be in touch soon for more work. Thanks again! JUST EXCELLENT! Helen deserve more than 5 stars. 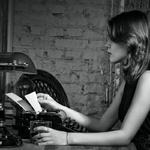 Helen is a ghostwriter, storyteller, conceptual copywriter, transcreator, and former journalist. She has a Master’s Degree in Creative Media (Writing) and a Diploma of the Arts (Professional...Read moreHelen is a ghostwriter, storyteller, conceptual copywriter, transcreator, and former journalist. She has a Master’s Degree in Creative Media (Writing) and a Diploma of the Arts (Professional Writing and Editing). During postgraduate studies, Helen was mentored by PEN award-winning author Nam Le. She is a lifetime member of Golden Key International Honours Society for outstanding academic achievement. Helen is frequently commissioned by brands, businesses and creative agencies for storytelling, copywriting, and film and TV development. Her collaborators have appeared in an array of publications including Vogue, O: The Oprah Magazine, Harper’s Bazaar, The Guardian, Mayfair Times, and Hong Kong Tatler. Helen’s ghostwriting clients include an array of illustrious figures and companies including BAFTA and Emmy winners, international royalty, iconic fashion houses, boutique liquor brands, art-world players, and luxury resorts — all who’ve sought her talents for a range of writing projects including narrative development and advertisements. Helen has moonlighted as an on-air transcript writer at the Palace of Westminster (House of Lords and House of Commons), City Hall, and the Royal Courts of Justice. She has also worked closed sessions as a verbatim reporter at the Health and Care Professions Council, Snaresbrook Crown Court, Competition and Markets Authority, and the Human Fertilisation and Embryology Authority. For over half a decade, Helen interviewed and profiled numerous Grammy and Oscar-winning entertainers and musicians for weekly print publication. Her subjects included Marilyn Manson, Bill Bailey, Ray LaMontagne, Aimee Mann, Linkin Park, India Arie, Slipknot, Robert Cray, Jim Rose Circus, and Arrested Development. Helen’s cover stories, feature articles and reviews have appeared in magazines including Metro, Beat, and Blunt. She has also worked as a long lead case study writer in the not-for-profit sector, profiling the lives of London’s street population. Helen is the winner of Literature Works’ First Page Prize (supported by the British Arts Council) and a Lorian Hemingway Honourable Mention recipient. Her debut novel is coming soon. Watch this space. Helen was awarded First Prize at Literature Works' First Page Prize for the opening of her debut novel. The prize is supported by the British Arts Council, the Literature Fundraising Centre, and the Lottery Fund. The prize was judged by British writer and Walter Scott Prize winner Tom Vowler, author of the novels What Lies Within and That Dark Remembered Day, and the short story collection The Method. Helen was awarded an Honourable Mention at the Lorian Hemingway Short Story Awards for her short story County Fair. The prize was judged by Lorian Hemingway (author, journalist and granddaughter of Ernest Hemingway) and Dr. Rob Merritt (Professor of English and Director of the Honours Program at Bluefield College, Kentucky, and faculty adviser for The Bluestone Literary Review). The winners were announced at Ernest Hemingway’s Florida residence Casa Antigua during the annual Hemingway Days festival held in Key West, which honours the Pulitzer Prize winning author during a week of festivities.